Kite flying has always fascinated me. Every year, especially during Makar Sankranthi, kites are flown all over India to celebrate the beginning of Spring, end of Winter, the God Surya etc. The religious significance of the day is varied - and various Hindu narratives converge here. What remains is the beautiful way it is celebrated. When I was a kid, I never got around to flying kites except for some of the occasions like these. But the universal nature of the festival allowed people from even other religions to participate in great numbers. Kite flying and its associated Hindu origin was largely frowned upon in many Muslim countries. The Taliban had banned it in Kabul because it went against the Islamic principles. Even Pakistan had briefly banned flying kites in the Panjab state where it was quite popular because of the use of the Chinese sharp manja. But they turned around the ban last December and this was celebrated widely - especially in the city of Lahore. Considering the voracious appetite of the Secular State (of the Republic of India), kite flying recently came under the axe in Hyderabad. The logic was weird, even considering that this was India (where Hindu traditions are fair game). 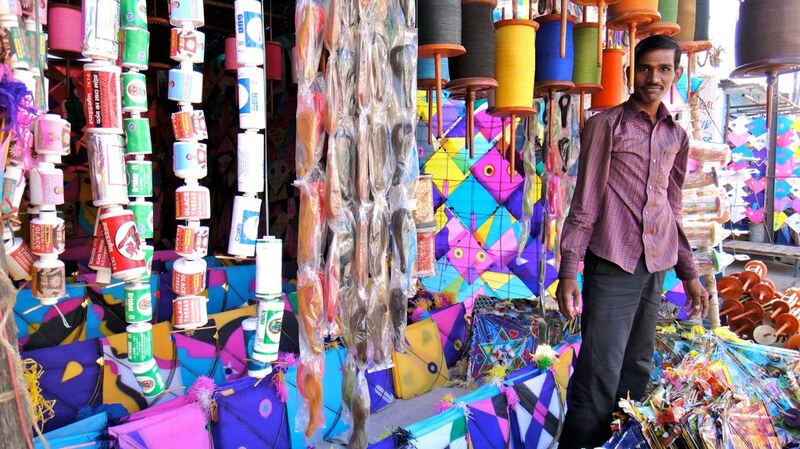 The police of the Government of Telengana released a statement claiming that a ban on flying kites during Makar Sankranti was to be in place and anyone caught doing so will face the consequences. Point to note is that the act of flying kites was to be banned ONLY during the religious occasion of Makar Sankranti celebrations. This is what the Telengana police provided as the reason for the ban. Consider the tone of the declaration - 'breach of peace', 'peace and tranquility'. This implies that the kids flying kites to celebrate a festival can breach peace, spread violence and disturb the atmosphere. It also specifically banned flying around places of worship. So temples grounds, adjacent fair grounds and public fields and parks are all to be cleared of people trying to fly kites. The only places allowed are your own roof. How about the people living in apartments with limited roof space? How about visitors to the city? Thankfully, some private organizations have come forward to entertain such people. But they are invariably paid events - out of bounds of plenty of Hindus who won't be able to enjoy an otherwise inexpensive and absolutely harmless medium of celebration. Even then, as reports confirm - Hyderabad has responded defiantly. Regardless of the diktat, people have come out to celebrate their Gods in the way they have always done. As always, kites flew high up in the sky, duels were fought, and young kids ran to collect their trophies. Like they always did. At least that is what I hope will happen.